ASUS kicked CES 2011 off with their press conference and wanted to be the first to show off their latest and greatest products so they decided to have their CES 2011 press conference a couple days early. CES 2011 could probably be dubbed "The Tablet Show" thanks to the amount of tablets that are going to be announced and shown off during this year's show. 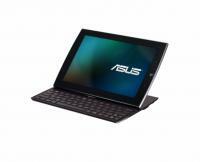 ASUS is hoping to become one of the major players in the tablet market and focused a good majority of their press conference on their new line of Eee tablets. ASUS presented 4 new tablet products during their press conference, the Eee Pad Slider, Eee Pad MeMO, Eee Pad Transformer, and the Eee Slate EP121. We've got some pictures and more information below. 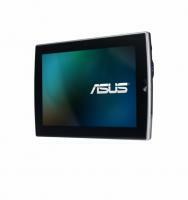 The first product from ASUS was their Eee Pad Slider. The idea behind the Eee Pad Slider is much like the same as a cell phone where you can have the keyboard but then tuck it away when you want to use it as a tablet. The Slider will feature a 10.1" IPS touch-screen and had a full QWERTY keyboard for easy typing. The Slider will have a MSRP of $499-799 USD and is expected to be released in May 2011.